You’ve taken the plunge, set the date and booked a venue. Before you can think about any of the other big decisions like finding the perfect caterer or picking the reception decorations, you must first make sure all your guests have popped you into their calendar! Save the date cards are the first glimpse your guests will have into the theme of your wedding, so it’s important to think about this when you’re deciding which method to use. If you fancy something a little different than the classic card invitations, look no further! 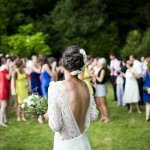 We’ve compiled a host of delightfully unique ways to make sure your friends and family pencil in your big day. It’s always exciting having a postcard pop through the letterbox, and even more exciting when it’s the invite to a wedding! Postcards are a great way to catch the attention of your guests – the definition of simple but effective. If you’re having a destination wedding or perhaps chosen a seaside venue, postcards are a great way to get the coastal theme rolling. Easy to stick on the fridge and are often cheaper as you’re using less material – postcards are great for giving casual and carefree vibes. Another distinctive idea for destination weddings is the humble luggage tag, which work as a great keepsake of the trip as well. This style of save the date provides a simple but rustic feel, especially if the tags are made from a lovely brown card with a string tie. 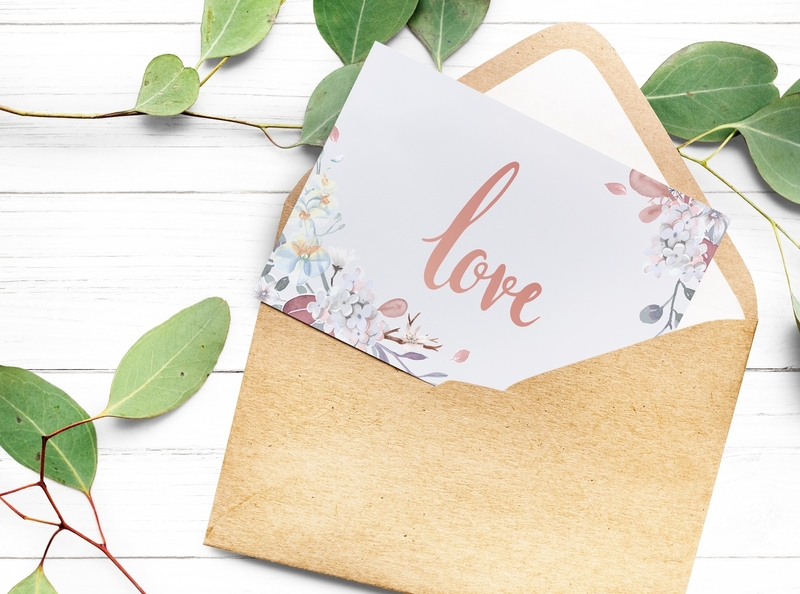 A handwritten tag will also create a personal and welcoming feel to the invite, and will also help you keep costs down by writing them yourself! If you wanted to push the boat even further, you could have your tags custom made – there are plenty of designers on Etsy who can help with this. Everyone looks in their fridge at least once a day – so what better way to get a date firmly stuck in someone’s brain than a fridge magnet? Plus it’s always useful to know that your guests will have somewhere to put the invite – this way, it definitely won’t be misplaced. You could try wooden magnets for a rustic or intimate countryside wedding, or perhaps one in the shape of a vinyl record if you both love music. It really depends on the theme that you’re going for – but whatever you choose, you know that your guests will display it proudly on their fridge! How about creating Save the Date stickers? They’re both classy and cost effective as you can order sheets with large quantities. It also means your guests can pop your big day straight in their diary or calendar – so no excuses to forget! Alternatively, get yourself some sheets of labels from any good stationery shop and you can do them yourself. You could print onto the labels using your printer at home, or if you’ve got any crafty bridesmaids you could arrange a girls’ night and customise them by hand for a homely touch. Your big day will always be on their mind if you choose to have save the date coasters! Everytime they make a cup of tea, or have a refreshing glass of lemonade on a hot, sunny day, they will be reminded of your wedding! Coasters come in all different shapes, sizes and materials, so you can choose a design that best reflects the theme of your wedding. And – as a bonus – they’re super easy to pop in the post. For a unique and interactive way to make sure you guests save the date, why not use save the date balloons? The grand reveal of your wedding will be revealed to the guest on their door-stop as the balloon is inflated in front of their very eyes! While this might be a little extravagant for some, it really is a great way to make your guests feel special. And, most importantly, to make sure they come to the wedding! What better way to make sure your guests mark the date of your wedding in their calendars than by giving them their own pencil as a save the date? The date of your wedding can be engraved on the side of a pencil as a quirky alternative for guests to pencil you in! 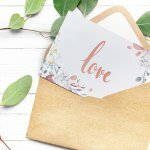 We hope this has given you a few ideas so you can create your very own unique save the date ideas that give your guests a hint of what’s to come. Good luck with your planning! Are you looking for the perfect dress for your special day? Book an appointment with us today – we’d love to be help you find ‘the one’ and provide you with an unforgettable experience.